Richard Freedman explained that racism was the ideology of apartheid society and of Nazi Germany. The connections between the two “helped us to find the place of acknowledging the merit of those who come here, of their experience, before they engage with anything else”. If visitors were to understand antisemitism, they would first need to understand racism, and to understand the building of a racial state one needed to reference South Africa as well as Nazi Germany. It’s not didactics and you don’t need to dramatize or embellish it. You expose people to an engagement with the exhibition… and then start to help them to re-direct the lens to themselves and to their own experience and from there comes the relevance of the experience… otherwise what is the point of having a Holocaust Centre at all? He clarified that most of the audience for the Centre is South African, is not Jewish, and that most has not had much exposure to the history of the Holocaust. The Holocaust is only relevant for South Africa as being a case study of human rights violations alongside apartheid, otherwise why should it be here [in South Africa]? It impacts on the genocide convention and on the universal declaration of human rights, and its foundation makes sense because these things are fundamental to the South African constitution. Marlene Silbert began her account with the earliest conception of the Centre, when she was asked to write a text for the planned exhibition. “I thought to myself that it is absolutely imperative that I contextualise [the exhibition], otherwise of what significance is it going to be to anybody other than Jews who is interested in Jewish history – and it is so relevant to South Africa.” Saying this, she immediately added that she fully understood the major difference between the Holocaust and apartheid, in that there was never an intention on the part of the apartheid government to exterminate all black people. But many of the laws introduced during apartheid had paralleled the laws that were introduced against the Jews in Nazi Germany, particularly between ’33 and ’39. Because how can I show an image of a chair that says for Jews only and not put up a chair that says for Whites only? How can we put up images that show that Jews are prevented from the different professions, of ways of life of separateness, of ghettos, of group areas, when this is what South Africa was all about…? To try to teach the Holocaust… we do need to show the correlation [with apartheid] and to speak about the consequences of prejudice, racism and discrimination and how genocide is an incremental process. It doesn’t begin with killing, and every one of us has the capacity to prevent genocide, but not if we remain silent, apathetic and indifferent to injustice… . It begins with prejudice, racism, discrimination and eventually if you allow it to continue, it will end up with mass killing. Apartheid: Racism and discrimination in South Africa. Why would a policy like apartheid encourage stereotyping and the development of prejudice? What human rights were violated by apartheid laws? Antisemitic policies 1933-1939: Repressive laws and prohibitions against Jews. In what ways were the violation of human rights in Nazi Germany between 1933 and 1939 similar to the violation of human rights that occurred in South Africa during apartheid? Are human rights sometimes violated in our country today? What role can we play in our school and our community to encourage and respect human rights? Seeking refuge: …no help, no haven. Should governments help refugees from countries where there are severe human rights violations? How are refugees in South Africa viewed and treated? I relate to apartheid, but say to them that apartheid was abolished in 1994. Have prejudice and racism been abolished? And they always shake their heads. And after that we go into case studies: Have you ever experienced this? “Yes.” What other experiences have you had? You are standing in a group where this happens – what should you do? We know what we should do. How do we overcome the inhibitions and obstacles? Why don’t we do it? …during the introduction, we let them know that the lessons to be learned are lessons for each one of us… . The Holocaust is the tool that is used to teach the lessons and encourage social activism. Freedman, Richard. “Engaging with Holocaust education in post-apartheid South Africa“. In Holocaust education in a global context, edited by Karel Fracapane and Matthias Hass, 134-143. Paris: UNESCO, 2014. Gilbert, Shirli. “Anne Frank in South Africa: Remembering the Holocaust During and After Apartheid.” Holocaust and Genocide Studies, 26 (2012) 3: 366-393. Silbert, Marlene, and Dylan Wray. The Holocaust. Lessons for humanity. Cape Town: Cape Town Holocaust Center, 2013, 3rd edition. Cape Town Holocaust Centre and South African Holocaust & Genocide Foundation http://www.ctholocaust.co.za/ (last accessed 12 February 2018). What were the consequences when pseudo-scientific ideas of Race became integral to government policies and legislation in the 19th and 20th centuries? Article written as information for South African pupils and teachers, South African History Online http://www.sahistory.org.za/article/what-were-consequences-when-pseudo-scientific-ideas-race-became-integral-government-policies. (last accessed 12 February 2018). Silbert, Marlene and Wray, Dylan (2004) The Holocaust. Lessons for humanity. Available: Google Books (last accessed 12 February 2018). I interviewed Richard Freedman (National Director of the South African Holocaust & Genocide Foundation) and its first education director, Marlene Silbert, about this decision. I quote liberally from these interviews, as they speak for themselves and capture an ethos of the organisation. Note that this approach differs, for instance, from that of the Sydney Jewish Museum Holocaust exhibition, which, while acknowledging the roots of racism in the Australian past, does not foreground them and does not require the visitor to confront this reality in order to engage with the exhibition. Interviewed at the Cape Town Holocaust Centre, 16 November 2017. Interviewed at the Cape Town Holocaust Centre, 22 November 2017. Silbert, Marlene and Wray, Dylan (2013) The Holocaust. Lessons for Humanity. Cape Town: The Cape Town Holocaust Centre, 3rd edition. © New Africa Books (Pty) Ltd.
Sieborger, Rob: Contextualising the Cape Town Holocaust Centre within South Africa. In: Public History Weekly 6 (2018) 5, DOI: dx.doi.org/10.1515/phw-2018-11211. Das Cape Town Holocaust Centre ist das erste derartige Zentrum in Südafrika. Bei seiner Gründung im Jahr 1999 haben die GründerInnen nicht nur darüber nachgedacht, was Kapstadt und Südafrika über den Holocaust lernen können, sondern auch darüber, was das Zentrum dazu beitragen kann, dass das Land die eigene Vergangenheit aufzuarbeiten vermag. Wenn man das Holocaust Centre in Kapstadt betritt, ist der erste Teil der Ausstellung der Apartheid gewidmet, denn es wurde erkannt, dass die Dauerausstellung, wenn sie die SüdafrikanerInnen überhaupt herausfordern sollte, die Apartheid und ihre Wurzeln kontextualisieren müsste, bevor sie die Wurzeln des Holocaust in Europa aufspüren kann. Richard Freedman erklärte, dass Rassismus die Ideologie der Apartheidgesellschaft und des nationalsozialistischen Deutschlands sei. Die Verbindungen zwischen den beiden “halfen uns, jenen Ort zu finden, an dem wir das Verdienst derer anerkennen, die hierher kommen, ebenso den Wert ihrer Erfahrungen, bevor sie sich mit etwas anderem beschäftigen”. Wenn die BesucherInnen Antisemitismus verstehen sollen, müssten sie zuerst den Rassismus verstehen. Und um den Aufbau eines Rassenstaates zu verstehen, müsste man sowohl auf Südafrika als auch auf Nazi-Deutschland Bezug nehmen. Er stellte klar, dass der größte Teil des Publikums Südafrikaner seien, nicht jüdisch, und dass die meisten von ihnen nicht viel mit der Geschichte des Holocaust zu tun hatten. Der Holocaust ist nur für Südafrika als Fallbeispiel für Menschenrechtsverletzungen neben der Apartheid relevant, oder warum sollte er sonst hier [in Südafrika] sein? Er wirkt sich auf die Völkermord-Konvention und die Allgemeine Erklärung der Menschenrechte aus, und seine Errichtung macht Sinn, weil diese Dinge grundlegend für die südafrikanische Verfassung sind. Marlene Silbert begann ihren Bericht mit der frühesten Konzeption des Zentrums, als sie gebeten wurde, einen Text für die geplante Ausstellung zu schreiben. 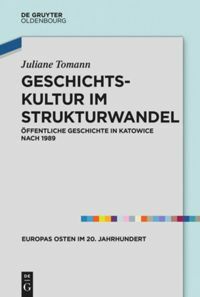 “Ich dachte, es sei absolut zwingend, dass ich [die Ausstellung] kontextualisiere, andernfalls welche Bedeutung hätte sie für diejenigen, ausser für Juden, die sich für die jüdische Geschichte interessieren— die so relevant ist für Südafrika.” Sie fügte sofort hinzu, dass sie den großen Unterschied zwischen Holocaust und Apartheid voll und ganz verstanden habe, da die Apartheidregierung niemals beabsichtigte, alle Schwarzen auszurotten. Aber viele der Gesetze, die während der Apartheid eingeführt wurden, entsprachen den Gesetzen, die gegen die Juden in Nazi-Deutschland eingeführt wurden, insbesondere zwischen 1933 und 1939. Aber sie konnte zunächst nicht vorhersehen, welche Folgen diese Entscheidung haben würde. Neben SchülerInnen und StudentInnen, die das Zentrum fast täglich in großen Gruppen besuchen, engagierte sie sich am Zentrum in Kursen, die sich mit den rassischen Spannungen in der Zivilgesellschaft und auch in den staatlichen Diensten befassten: Polizei, Marine, Justizvollzugsanstalten und sogar darauf, die Unterschiede zwischen rivalisierenden Banden auf der Kaphalbinsel auszugleichen. Bei der Polizei zum Beispiel: “Ich würde mehr Zeit auf das Strafjustizsystem in Nazi-Deutschland und das Strafjustizsystem hier verwenden — der Unterschied zwischen SS und regulärer Polizei — und wie die Polizei zu den Wächtern der Konzentrationslager wurde…”. Um zu versuchen, den Holocaust zu unterrichten… müssen wir den Zusammenhang [mit der Apartheid] aufzeigen und über die Folgen von Vorurteilen, Rassismus und Diskriminierung sprechen und darüber, wie Völkermord ein inkrementeller Prozess ist. Es fängt nicht mit dem Töten an, und jeder von uns hat die Fähigkeit, Völkermord zu verhindern, aber nicht, wenn wir schweigen, apathisch und gleichgültig gegenüber Ungerechtigkeit sind… Es beginnt mit Vorurteilen, Rassismus, Diskriminierung und schließlich, wenn man es zulässt, wird es mit Massentötung enden. Apartheid: Rassismus und Diskriminierung in Südafrika. Warum sollte eine Politik wie die Apartheid Stereotypisierung und die Entwicklung von Vorurteilen fördern? Welche Menschenrechte wurden durch Apartheidgesetze verletzt? Antisemitische Politik 1933-1939: Repressive Gesetze und Verbote gegen Juden. Inwiefern war die Menschenrechtsverletzung in Nazi-Deutschland zwischen 1933 und 1939 vergleichbar mit der Menschenrechtsverletzung in Südafrika während der Apartheid? Werden die Menschenrechte in unserem Land heute manchmal verletzt? Welche Rolle können wir in unserer Schule und in unserer Gemeinschaft spielen, um die Menschenrechte zu fördern und zu respektieren? Suche nach Zuflucht: … keine Hilfe, kein Zufluchtsort. Sollten Regierungen Flüchtlingen aus Ländern mit schweren Menschenrechtsverletzungen helfen? Wie werden Flüchtlinge in Südafrika betrachtet und behandelt? Silbert, Marlene, and Dylan Wray. The Holocaust. Lessons for humanity. 3. Aufl., Cape Town: Cape Town Holocaust Center, 2013. Cape Town Holocaust Centre and South African Holocaust & Genocide Foundation: http://www.ctholocaust.co.za/ (letzter Zugriff 12. Februar 2018). What were the consequences when pseudo-scientific ideas of Race became integral to government policies and legislation in the 19th and 20th centuries? Article written as information for South African pupils and teachers, South African History Online: http://www.sahistory.org.za/article/what-were-consequences-when-pseudo-scientific-ideas-race-became-integral-government-policies. (letzter Zugriff 12. Februar 2018). Silbert, Marlene and Wray, Dylan (2004) The Holocaust. 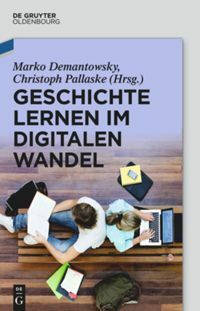 Lessons for humanity: Google Books (letzter Zugriff 12. Februar 2018). Ich habe Richard Freedman (National Director of the South African Holocaust & Genocide Foundation) und seine erste Bildungsdirektorin, Marlene Silbert, zu dieser Entscheidung befragt. Ich zitiere großzügig aus diesen Interviews, da sie für sich selbst sprechen und den Ethos dieser Organisation einfangen. Beachten Sie, dass sich dieser Ansatz z.B. von dem der Holocaust-Ausstellung des Sydney Jewish Museum unterscheidet, die zwar die Wurzeln des Rassismus in der australischen Vergangenheit anerkennt, sie aber nicht in den Vordergrund stellt und den Besucher nicht dazu zwingt, sich dieser Realität zu stellen, um sich mit der Ausstellung auseinanderzusetzen. Das Interview wurde am 16. November 2017 im Cape Town Holocaust Centre geführt. Das Interview wurde am 22. November 2017 im Cape Town Holocaust Centre geführt. Sieborger, Rob: Das Cape Town Holocaust Centre im Kontext Südafrikas. 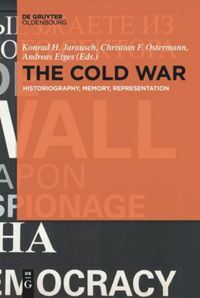 In: Public History Weekly 6 (2018) 5, DOI: dx.doi.org/10.1515/phw-2018-11211.